Multi wear skirt / dress A fabulous and very versatile Multi wear skirt / dress, in a stretchy and soft viscose lycra. Its the answer to a limited maternity wardrobe. Simply pull it up to wear as a dress or adjust over or under your bump as flowy fabulous skirt! Very comfortable. 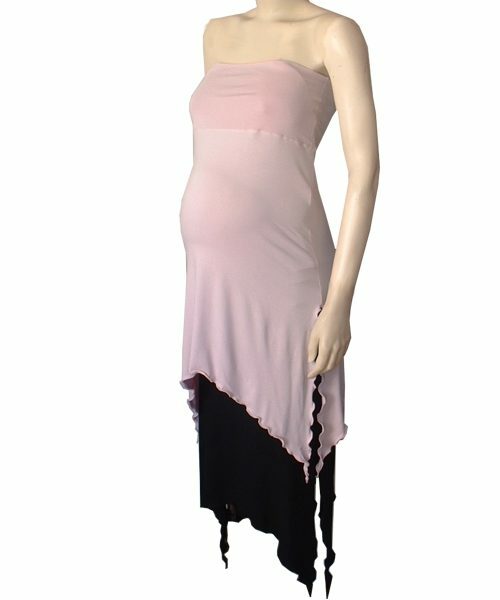 You’ll wear this multi wear skirt / dress from day one to long after your pregnancy. Perfect for work, evening wear & casual. The feminine double layer frilled hem adds a special feminine touch.